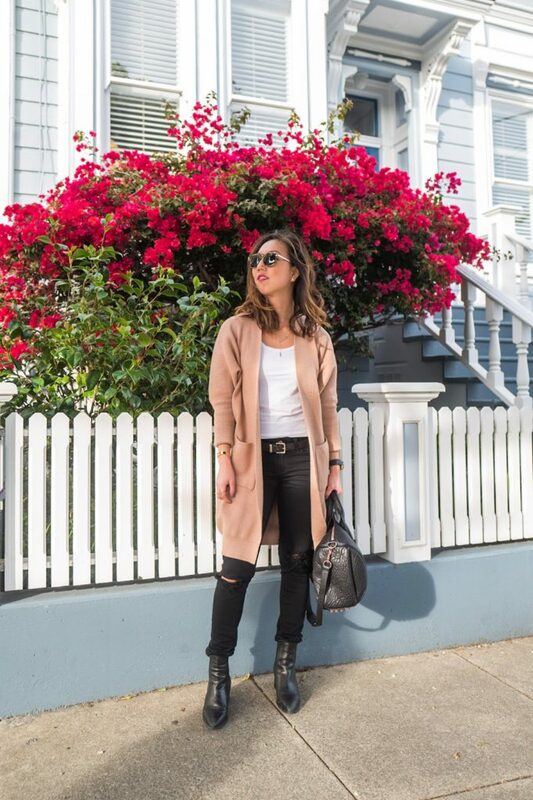 If you’re in the market for a new Fall jacket, I recommend purchasing a long jacket in a neutral color tone as they’re super versatile and always on-trend. Whenever I find jackets that go with almost any outfit and that keep me comfortable and cozy they instantly become a staple in my closet. Thus, I’ve quickly grown fond of this knitted cardigan from StyleWe because of it’s versatility, comfort, thickness, and texture. The fact that it has pockets is also a plus. While shopping online, I came across some other favorite long jackets below. Enjoy!